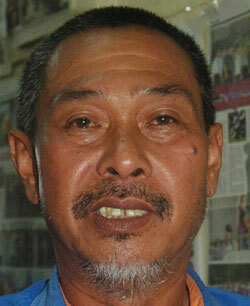 LIMBANG: The Limbang Football Association (LFA) will be holding an emergency meeting on the vacant post of acting deputy president following the demise of its incumbent [email protected] Tawar. 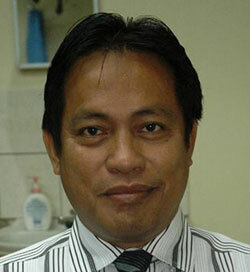 Alidin passed away on Nov 11 due to a heart attack. LFA president Dr Abdul Rahman Ismail, who is the Assistant Minister of Agriculture, said the vacant post needed to be filled to ensure smooth operation of the association as they are preparing for the Super League and Premier League in Limbang. “The appointment of acting deputy president for LFA will be carried out according to decisions made during the emergency meeting,” he said. “This meeting is important to ensure that plans to organise all the leagues can be carried out, including Limbang Under 19 Youth Cup in December,” he told reporters on Wednesday. Dr Abdul Rahman also conveyed his condolence to Alidin’s family, adding that the latter had contributed a lot to development of football in Limbang. “We really felt the loss as he had contributed a lot to our success in football. “In fact, Limbang are among the top teams in Sarawak and during the Sarawak Cup in Mukah recently, Limbang made it to the final round,” he said. To remember Alidin’s contribution, he said LFA is planning to offer the Alidin Tawar Cup in the upcoming Youth League.